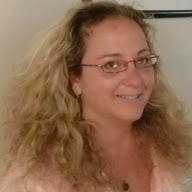 I have been a Licensed Massage Therapist in Florida and Ohio since 2001. A native of Cleveland Heights, I spent some time living in Tampa,Fl where I received massage training at The Humanities Center for Allied Health, and first became licensed there through the Health Dept.,and the NCTMB organization. Upon returning to Cleveland, I fulfilled Ohio's requirements at The National Institute Of Massotherapy at their Garfield Hts. location, and became licensed with the State Medical Board in 2005. I specialize in Swedish massage(Western Massage), which, contrary to popular belief, is not a fluff massage. The strokes and technique address both superficial and deep tissues. Pressure level is always determined by the comfort of the client. Every massage starts with light pressure, becoming deeper as the muscles allow, and your comfort permits. If you are flinching, and your body becomes more tense because of pain, deep, harder pressure is not beneficial. There are ways of working around the pain that do not always include pressing hard where it hurts. Neuromuscular techniques include Trigger Point Therapy, Positional Release, Myofascial Release, and Muscle Energy Techniques. If you have restricted movement or significant pain, these techniques may be applied before the use of massage oil or lotion. Modified versions of some of these are utilized in all massages by Michelle. Massage throughout your pregnancy can help relieve much of the pain and discomfort from the extra fluids, swelling, hormones, and the little person growing inside, moving everything around in there! Barring any extra medical concerns, with no objections from your doctor, I use side-lying positioning, made easy and comfortable with contoured body cushions.